Success in the moving business is part mechanics, what to do and how to do it, and part mindset. What you believe about yourself and your company will play a big role in your ability to succeed at a high level. If you feel like this business is difficult and you can’t make any money, then guess what’s going to happen. You’re probably not going to make any money. 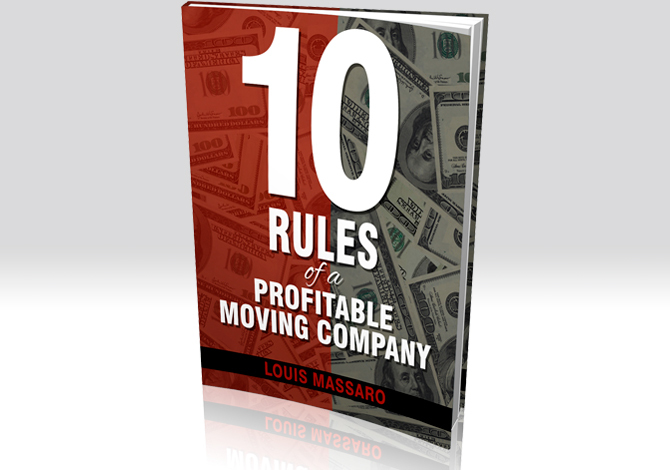 If you want to be successful in the moving business, start thinking like a millionaire mover. When I started my first moving company at 19 years old, I knew in my head that I was a millionaire mover. I didn’t have two nickels to rub together, but I knew that’s where I was headed. Yes, I worked hard. But it was the hard work mixed with that belief that allowed me to become a millionaire by 23 years old, all from the moving business. I don’t say that to impress you, I say it to show you what’s possible. Everybody wants to grow their business, get to the next level and make more money. It’s those who believe they can do it and then take the steps necessary to get there that will make it happen. One of the smartest things I ever did was accept the fact that I didn’t know everything. To look at each situation and say “there’s got to be a better way”, “where can I learn a better way?” Whether it was books, seminars, online course, coaches and mentors I always made sure I invested in a way to learn the skills I needed to succeed in my business. My advice to you: Believe. Believe you can do it. Believe you can get to the next level. Believe that you’re already a millionaire mover. Then take it one step at a time. 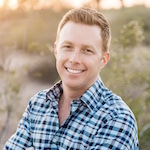 “So where do you start?” That’s the question I get so many times, “Where should I be focused in my business right now?” And the first thing you need to make sure that you’re doing is providing quality service. 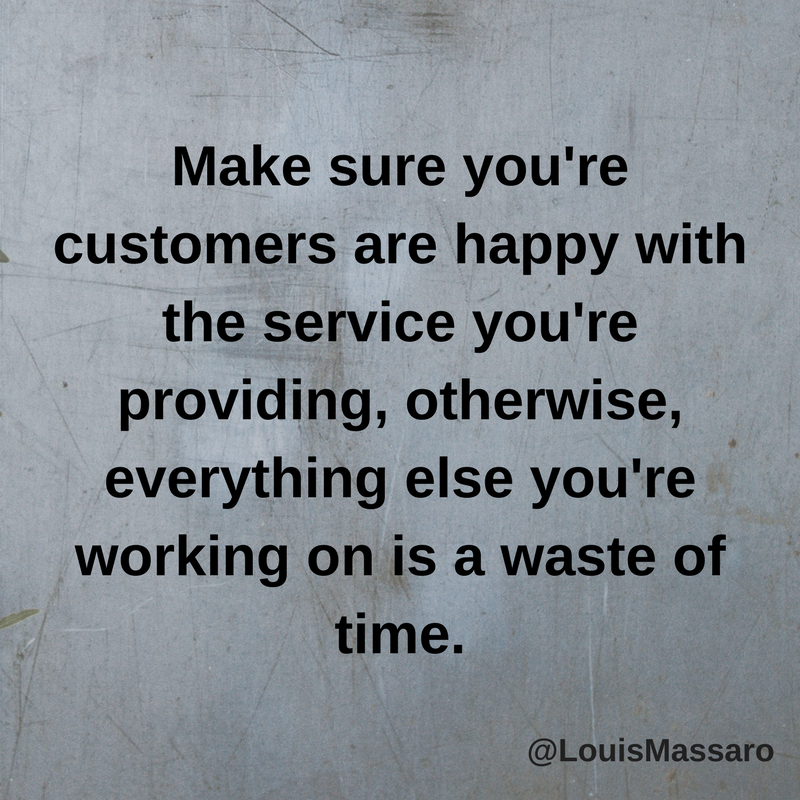 You need to make sure you’re going out there and your customers are happy with the service you’re providing. Otherwise, everything else is just a waste of time. Once that’s on point, you need to make sure that you have consistent sales coming in, period. Most moving companies, one of their biggest expense is marketing. If you’re spending huge amounts of money on marketing, you need to make sure that, once it comes into your business, do you have a solid sales process to run it through? There’s a big difference. Two companies could be spending the same amount of money on marketing. One company could have a solid sales process. The other company could just answer the phones, call back some leads, and just take it a little nonchalant. What do you think the difference in their revenue’s gonna be? What do you think the difference in the amount of money they spend in marketing, versus the amount of money that they bring in’s gonna be? People ask me all the time, “How did you build a company up to $20 million in book moves per year?” It’s simple. Sales. How else? There’s no magic bullet for marketing. Everybody thinks there’s this magic bullet. That’s the question, “What do you do on marketing? Where should I be marketing?” Marketing’s important, but it’s about just as important as getting gas for your car. You need it to run, but for the most part, we all have access to the same gas. You could all go to the gas station and pick one of the three options. It’s the same thing with marketing. We all have the same access to the same leads, the same ad words, the same direct mail. It’s all the same stuff. So it’s not really the marketing, it’s what happens after the phone rings, after you receive that lead. That’s where the money’s made. Think about it for a minute. What would increase your booking percentage by 5% do to your bottom line? If you currently are booking at 20%, meaning you get 100 leads or opportunities, and you book 20 of them, what if all of a sudden, you were booking 25 of them per day, per month, per week, whatever it is for you, what would that do to your bottom line? When you could take the same amount of marketing spend and book more moves with it? That’s how your profits go up. That’s how you take home more money. That’s what it’s all about. You don’t wanna not spend money on marketing, because you’re scared that you’re gonna lose money. You wanna be able to spend the money on marketing, knowing confidently that it’s coming into a system that’s solid, into a system that’s built with the proper follow-up, the proper sales scripts, the proper management. Once you have that, that’s when you have the confidence to grow. 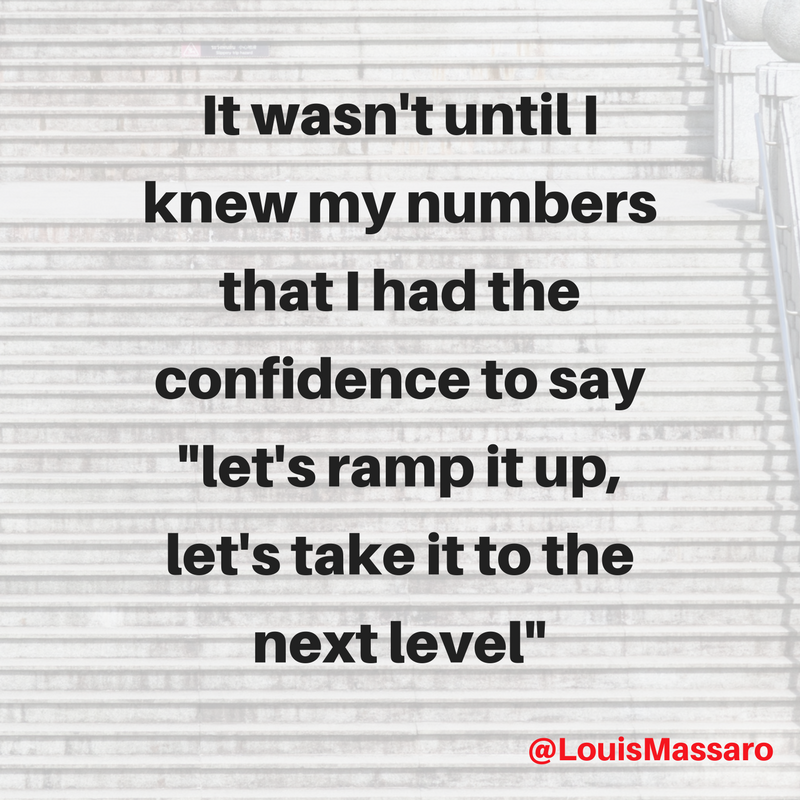 For me, it wasn’t until I knew my numbers, it wasn’t until I knew my marketing report, and what each source of marketing was really bringing in, that I had the confidence to say, “You know what? Let’s ramp it up. Let’s take this to the next level.” Because I feel confident in my sales process, not in the salespeople. They were good, but the salespeople could be replaced, ’cause the process is strong. I had that. I spent the money on marketing, knowing confidently that my sales process was gonna run the way I needed it to run. Once you have that, listen, it makes everything else easier. You’ve had times where jobs are just being booked, and it just feels like you’re getting flooded with new business. I hope you’ve experienced that. You’ve also had times where it’s not coming in. But imagine if you could have more of those times. Imagine if you could not be worried about paying the bills. Imagine if you could be taking home more than you really wanted to be making, initially, when you started your business. It solves a lot of problems. 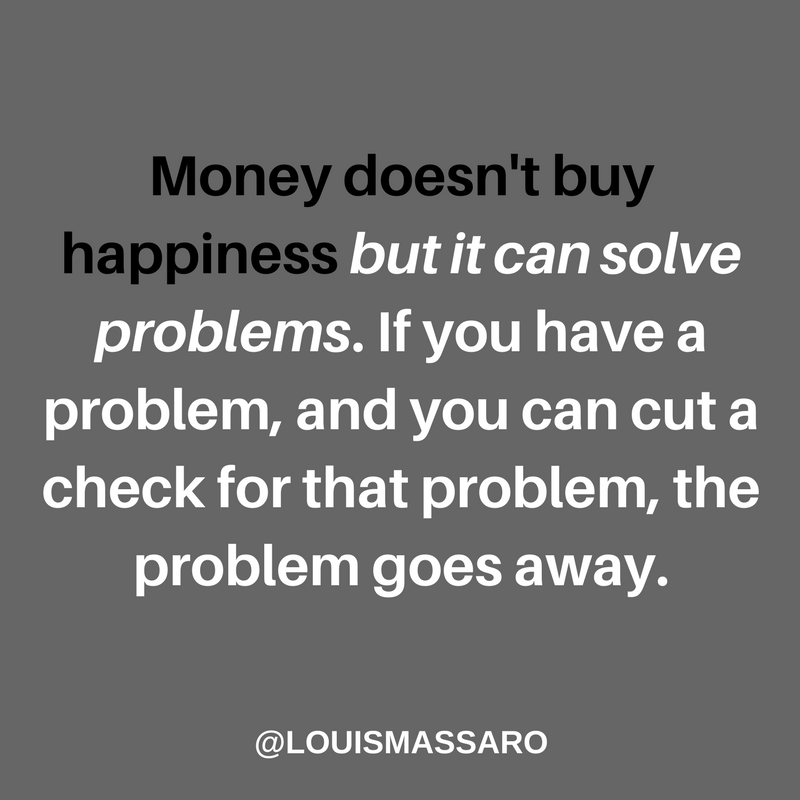 Money doesn’t buy happiness, but it can solve problems. ‘Cause if you have a problem and you could cut a check for that problem, the problem goes away. 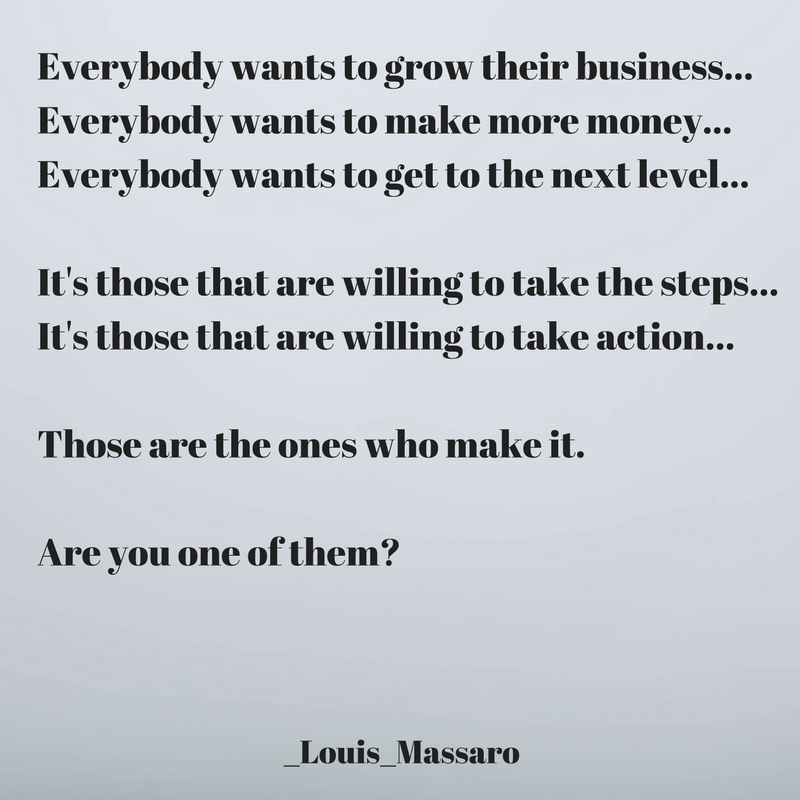 Everybody wants to grow their business. Everybody wants to make more money. Everybody wants to get to the next level. It’s those that are willing to take the steps, those that are willing to take the action that’s necessary to get them there, that are gonna make it happen. So many people talk about, “Yeah, I’m ready to build my business. I’m ready to do what it takes,” but you know what? They don’t wanna put the steps in place, they don’t wanna put the processes in place, they don’t wanna make that one tiny step forward in the direction of success, so they’re gonna stay where they’re at. One of the smartest things I ever did for myself and for my business, was to accept the fact that I didn’t know everything. To go out there and learn. To get myself a coach and a mentor, and find people that can help give me perspective on things, and show me something different that I wasn’t currently seeing. That was huge for me. And this is after I was already successful in my business. But you know what? I wanted to go further. In order to go further, you can’t continue to do the same things that you’re doing. And there’s a lot of people out there with a lot of information. You don’t have to listen to me. But get yourself a new perspective. Get someone that could help shed some light on some new ways of doing things, because you know what? It might not be their way that you follow, but maybe they get you thinking about something, that causes you to think of a brilliant idea that skyrockets your business. But you have to first start with believing that you can get to that level. You have to first start by believing that you’re a millionaire mover. When I was 19 and I started my company, in my head, I was a millionaire mover. I didn’t have two nickels to rub together, but in my mind, I knew that that’s where I was headed. Every day, I knew that’s where I was headed. And within a few years, by the time I was 22, 23, I was a millionaire. I don’t say it to impress you. I say it to show you what’s possible. And I say it, because, if you’re believing that, “It’s so hard,” and, “This is so difficult,” and, “I can’t make money in this business,” that’s the results you’re gonna get. But if you know and you believe that you can do it, and you’re willing to put in the work, and put in the steps, one step at a time, you can make it happen. I wanna show you what’s possible. You can get there.